The aging of the American population has placed greater demands on government, including the judicial branch. According to the U.S. Census Bureau, the population of Americans age 65 and over is projected to double to approximately 83.7 million people by 2050. The surge of this age group requires public organizations to adapt to the needs of this vulnerable population. Across the country, court systems have undertaken initiatives to support senior citizens that come into contact with the legal process. This contact could include being a plaintiff in a lawsuit, a complainant in a domestic violence case, a victim in a criminal fraud indictment, or the subject of guardianship proceeding. The judicial branch strives to ensure senior citizens are afforded enhanced support, access and participation in court proceedings. To achieve these goals, elder court initiatives depend upon the collaboration of partners in the management network. Effectively responding to elder issues requires specialized case management by judges and administrators, as well as collaboration among stakeholders. To skillfully identify and manage elder cases, court systems have developed training resources for judges and administrators. Committees and task forces have been used extensively in planning and developing elder court initiatives. Additionally, the nonprofit National Center for State Courts has established a Center for Elders and the Courts, which provides a wealth of information on aging, probate, and elder abuse in the legal system. 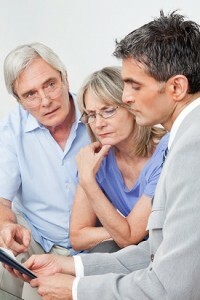 The Center provides premier web-based trainings, toolkits, standards, and evaluation tools for elder court initiatives. Elder Justice Centers – Several court systems have established elder justice centers to provide a range of support services to senior citizens. The pioneering Elder Justice Center of the Thirteenth Judicial District of Florida opened in 1999 through grant funding from the Area Agency on Aging, Victim of Crimes Association, and Retirement Research Association. The Center provides assistance, education and access to persons over age 60 involved in guardianship, civil, criminal or family court matters. In Pennsylvania, the Supreme Court recently opened the Office of Elder Justice in the Courts. Established as a result of Report and Recommendations from the 38-member Elder Law Task Force, this office promotes best practices in the areas of guardianship, elder abuse and neglect, and access to justice. Elder Protection Courts – Judge Joyce Cram, writing for the National Center for State Courts, describes elder protection courts as “a specialized docket that hears all cases of physical, financial, and emotional abuse of elders (defined as 65 or older).” Elder protection courts go a step beyond providing support services, establishing a court division specifically designed to address the needs of senior citizens who have been victimized, neglected or exploited. In 2002, Judge Julie Conger, of Alameda County, California, led the establishment of the first elder protection court in the country. In 2004, the Superior Court of Contra Costa County expanded on neighboring Alameda County’s model. Contra Costa County added criminal cases onto their elder protection court docket, to include any case in which an elderly person is a victim. In Cook County, Illinois, the Circuit Court’s Elder Law and Miscellaneous Remedies Division takes a holistic approach to addressing elder abuse, neglect and financial exploitation. The range of case types heard by the Elder Law and Miscellaneous Remedies Division is specifically defined by court order. 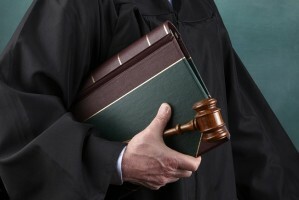 Elder protection court judges are often challenged to resolve several connected cases in a timely fashion while ensuring the safety and dignity of the senior citizen. In this network, the judicial branch leads the governance and administration dimensions. To aid in this complex dynamic, the National Center for State Courts published the Court Guide to Effective Collaboration on Elder Abuse. This guide provides an overview of the multidisciplinary collaboration needed to effectively identify elder abuse cases, manage elder abuse cases, and craft appropriate solutions with stakeholders. Several examples illustrate the multidisciplinary collaboration that has been the forefront of elder court initiatives. In their “groundbreaking” efforts, Pennsylvania’s Elder Law Task Force involved the nonprofit Senior Law Center, which is the only nonprofit in Pennsylvania that focuses on protecting the legal rights of seniors. In California, Contra Costa County used an “enormous collaborative effort” between the court and system partners to develop their unique elder protection court. The American Bar Association has also been a leader in this area and established a Commission on Law and Aging that works collaboratively on elder issues through a range of professional activities. Nationwide, court systems strive to provide access and fairness within the legal process. Elder court initiatives, in particular, are emerging models that help the judicial branch successfully meet the needs of the population they serve. There have been promising results, which prove these initiatives cannot succeed without stakeholder collaboration. Author: Brian J. McLaughlin, MS, MPA is an adjunct faculty member with the Department of Public Administration at Villanova University and has administrative experience with the judicial branch at the local, state and federal levels. He can be reached at [email protected]. This article presents the personal views of the author and does not represent the New Jersey Judiciary.